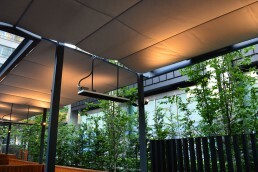 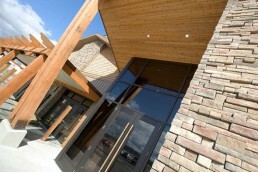 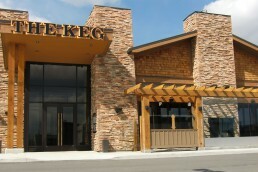 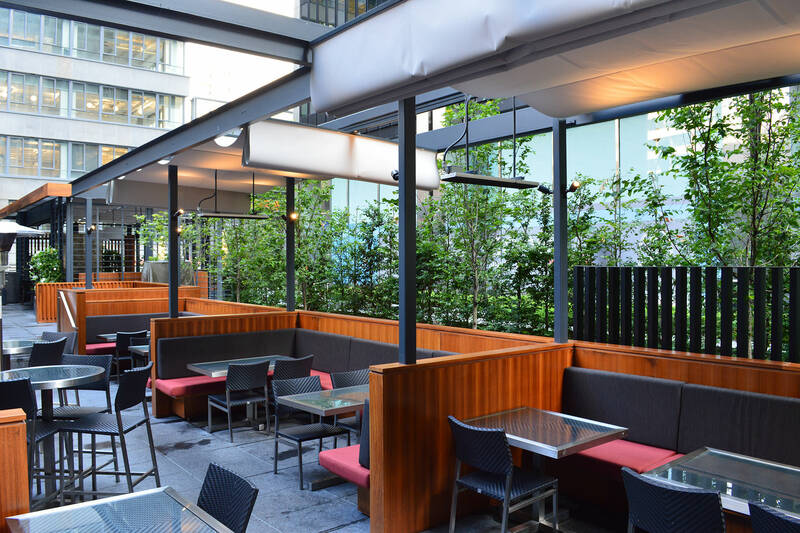 The Keg Restaurants have developed a penchant for ShadeFX that is reflected in their use of our canopies at a number of their ‘A’ list restaurants. 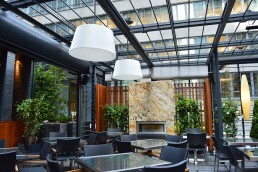 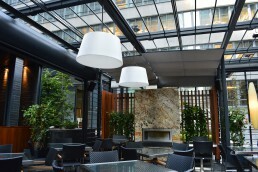 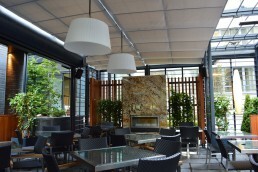 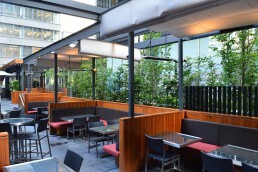 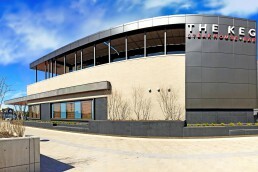 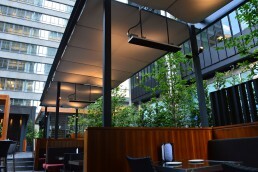 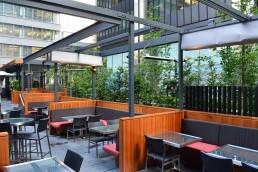 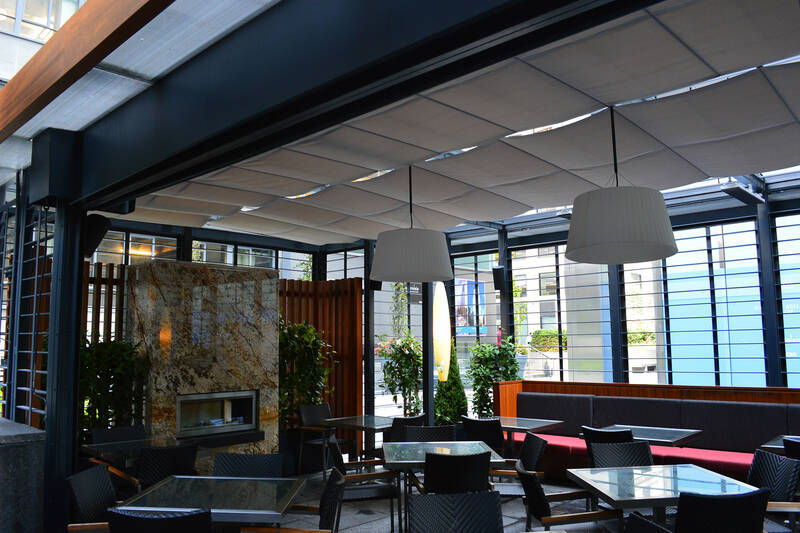 Most recently, The Keg at York and Adelaide Street in Toronto had an extensive renovation of its patio, topped with six ShadeFX retractable canopies doing sun protection duty under modern overhead steel frames. 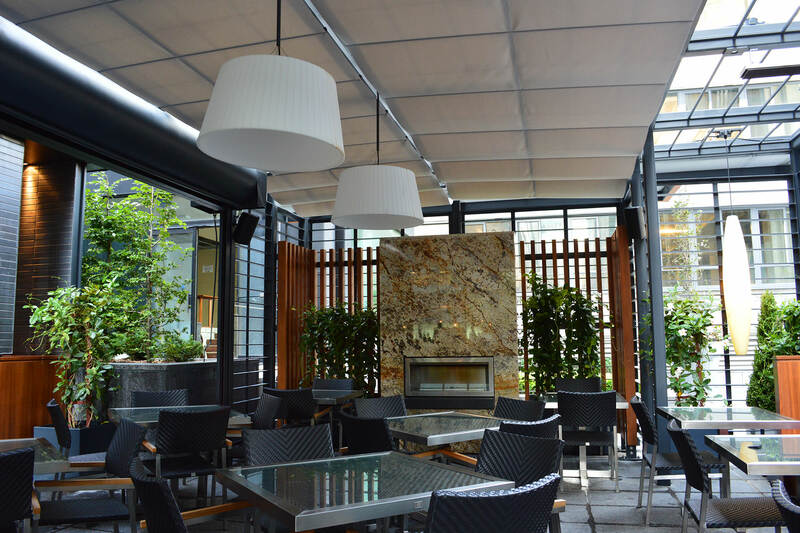 Working with acclaimed restaurant designer Giannone Petricone Associates, ShadeFX helped specify the details required for a fast, easy bolt-in installation. 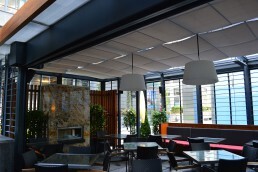 Leading up to the installation were a number of special features only available from ShadeFX. 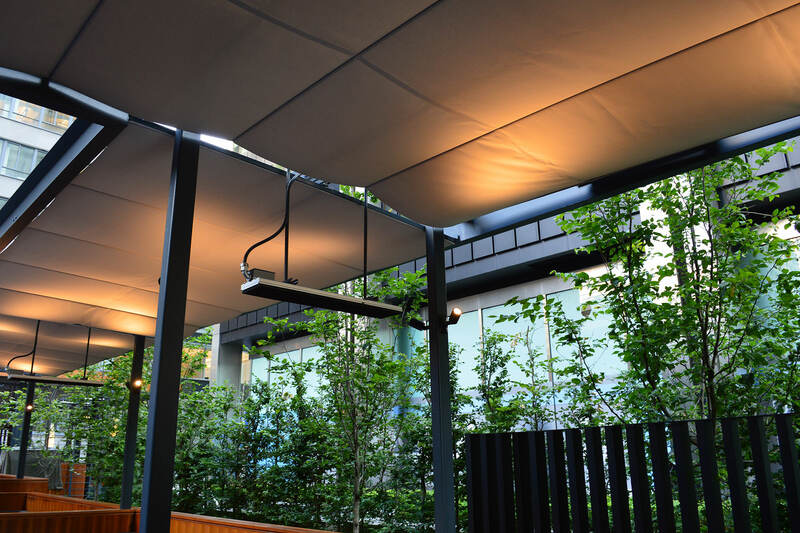 For example, one canopy is over 30 feet long and another has a corner cut out of it to fit around an encroaching overhead door mechanism. 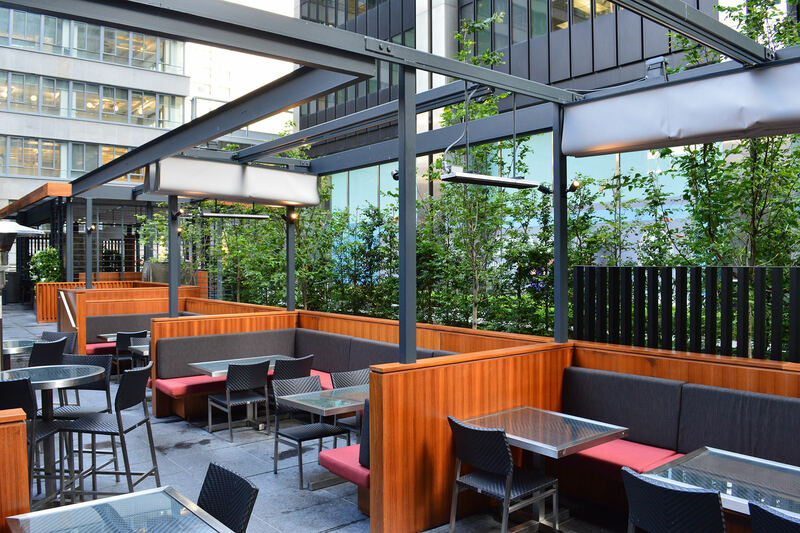 These design demands are well within the realm of our commercial application specialists, and the results make for an amazing outdoor dining experience that can only be had at The Keg at York and Adelaide in the financial district of Toronto.